This is the moment when things are starting to get interesting. I can try to talk myself through it or find some kind of distraction that makes the experience more manageable. Maybe I’ll avoid the situation to see if someone else can do it for me. I mean really, why am I doing this to myself? These kinds of experiences are rich with learning potential. In a culture that measures success according to how high we move up the business or academic ladder, we won’t get much recognition for being in beginner’s limbo. We’re taught to “fake it till you make it,” which works to some degree but it also contributes to the current epidemic of false mastery and showboating. There’s a concept in Zen Buddhism called Shoshin, or ‘Beginner’s Mind.’ It’s when we practice emptying the cup of our minds in order to make room for new teachings. It’s an exercise of sincere humility whenever we’re learning something new and we can practice this even if we’re experienced in a particular subject. 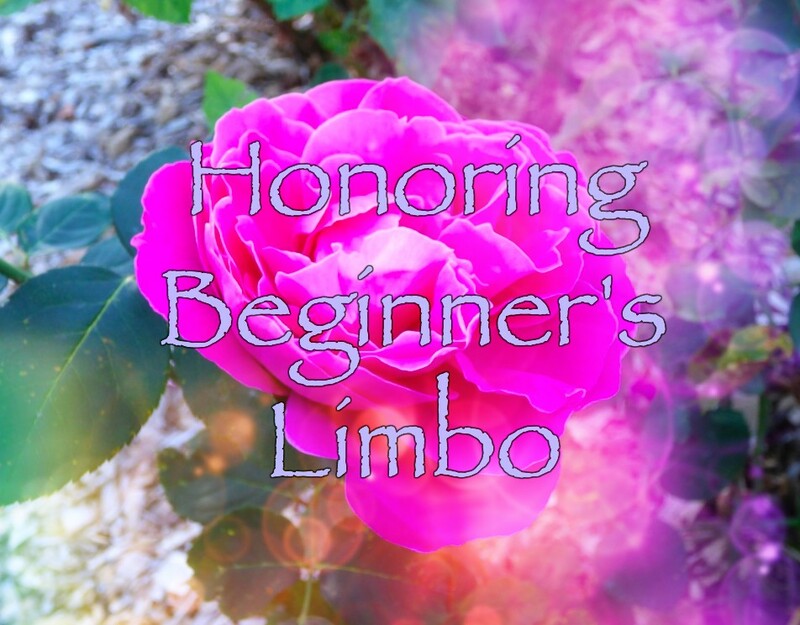 If you’ve started branching out in some arena of your life and have gotten hung up along the way, just chalk it up to being in Beginner’s Limbo. This too will pass so hang in there. You’ll be amazed at what your inner teacher has to show you.